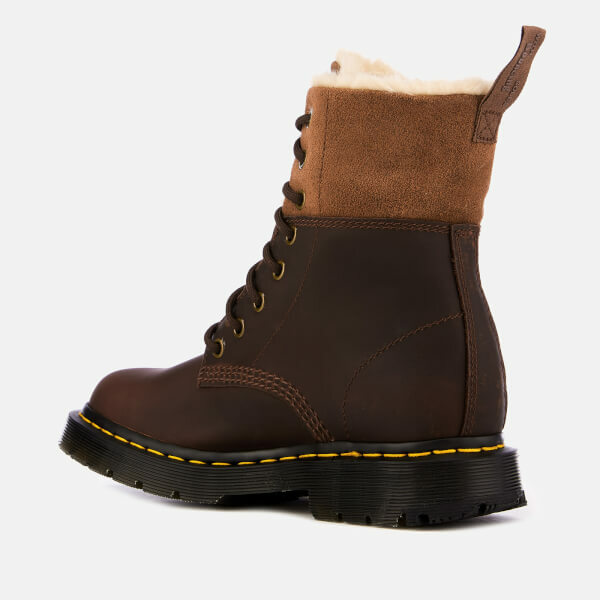 Brown winterised Dr. Martens boots with a faux-fur lining for warmth in cold weather conditions. 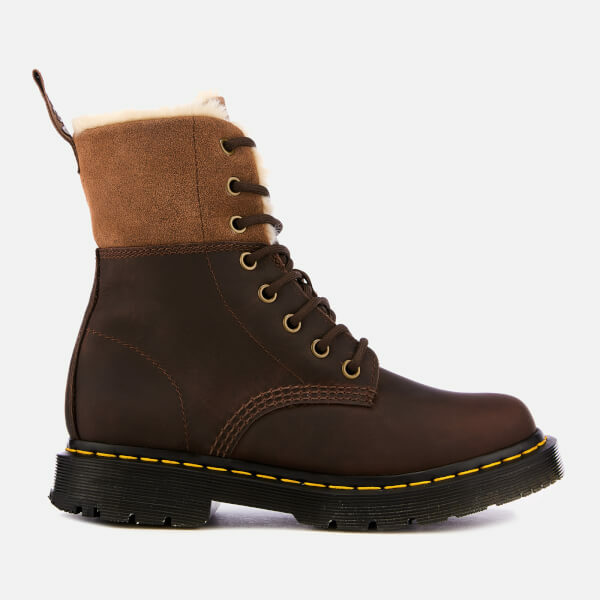 The women’s ‘1460 Kolber’ eight-eye boots are crafted with rugged Snowplow leather uppers which are grit-and-salt resistant, water-resistant and easy to clean. 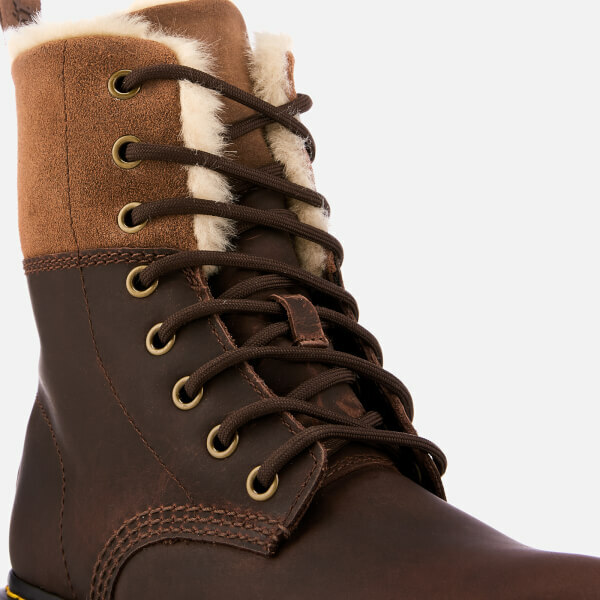 The boots have a cuff that can be folded down to reveal the luxuriously soft, faux fur lining. Goodyear welted for durability, the boots sit on an innovative WinterGrip sole with grooved cleats provides optimal traction on wet or snowy surfaces. 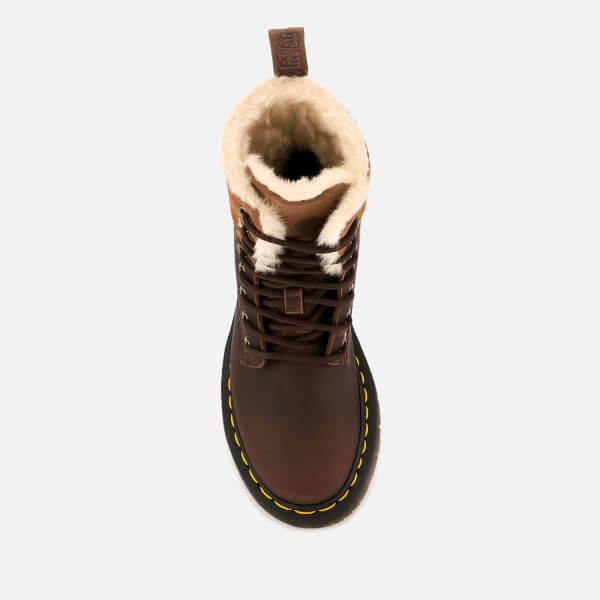 Grooved edges, yellow welt stitching and an AirWair heel loop for a signature Dr. Martens finish. Upper: Leather. Lining: Textile. Sole: PVC/Rubber.